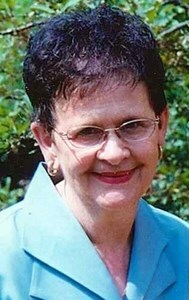 Newcomer Family Obituaries - Valerie L. Maxwell 1940 - 2019 - Newcomer Cremations, Funerals & Receptions. Wednesday, February 6, 2019 from 5:00pm to 8:00pm and Friday, February 8, 2019 from 9am to 10am at St. Paul Catholic Church 313 N. State St. Westerville. St. Paul Catholic Church 313 N. State St. Westerville. Valerie L. Maxwell, 78, of Westerville, passed away February 3, 2019. Valerie was born October 31, 1940 to George Victor and Helen (Neff) Lowe. She was a faithful member of St. Paul’s Catholic Church. Valerie loved to spend time with her family. Valerie was preceded in death by her parents, husband Paul S. Maxwell and beloved sister Roberta James. Valerie will be deeply missed by her; children Christina (John) Blatz, Lisa (Jerry) Juniper, Thomas Smith, Michael (Shelly) Smith, Steve, Scott, Karey, Krista and Kelly; many grandchildren and great-grandchildren; sisters Rosanne (Bob) Stalter, Vicki (Bob) Rayl and Kathy Meyers along with several nieces and nephews. Visitation will be Wednesday, February 6, 2019 from 5pm to 8pm at Newcomer NE Chapel 3047 E. Dublin Granville Rd., Columbus and Friday, February 8, 2019 from 9am to 10am at St. Paul Catholic Church 313 N. State St. Westerville. Mass of Christian Burial services will be Friday, February 8, 2019 at 10am at St. Paul Catholic Church. Burial will be at St. Joseph Catholic Cemetery. Add your memories to the guest book of Valerie Maxwell. I worked with Valerie at Schottenstein's for over 20 years... she was such a sweet lady. I really enjoyed working with her and I'll always remember our long talks. She loved her family so much... Valerie had a heart of gold. Sending out ((hugs)) and prayers to to her daughter Lisa and to her family & friend's.